I outlined a big iPad on chart paper and drew squares to represent apps. The bottom is the “I agree” statement and signature. The “apps” are each term to the contract. My students went through an awesome lesson about digital citizenship with our librarian and then went through an hour set up session with our school instructional technology coordinator. 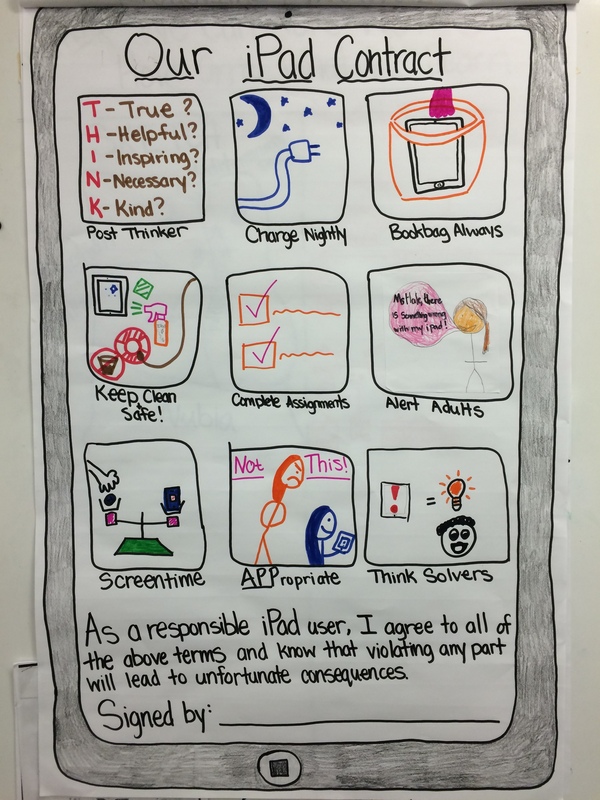 Through these lessons, they learned about ways to be a responsible iPad user and digital citizen. We gave each idea an app name and then students designed what they wanted the icons to be. They soon caught on and started coming up with the app names. I was amazed at the ideas they had for the images that would support and even add on to the meaning of each term. Students who wanted to draw the icon submitted a draft and then drew it on the chart. 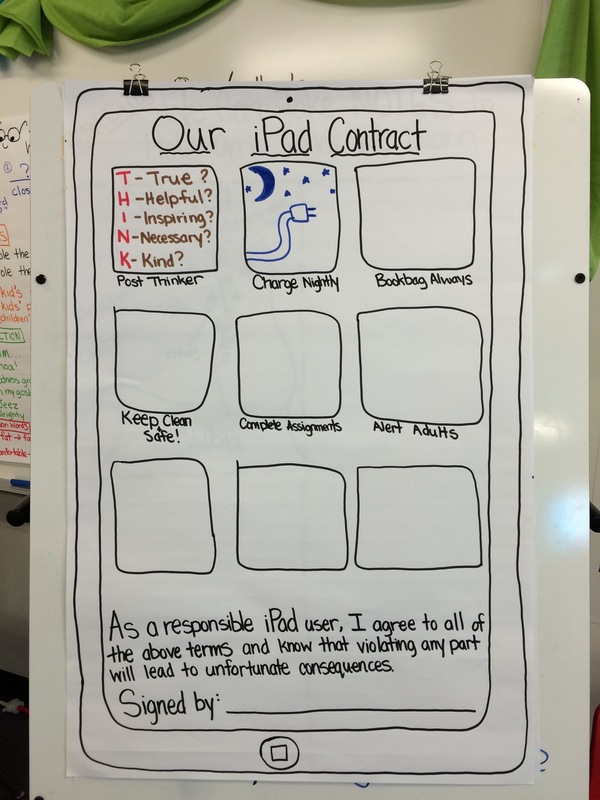 Here’s our iPad Contract completed! When it was all done, I scanned it into a PDF by using a scanning apps on my phone. This made it easy to transfer it in a printable copy. 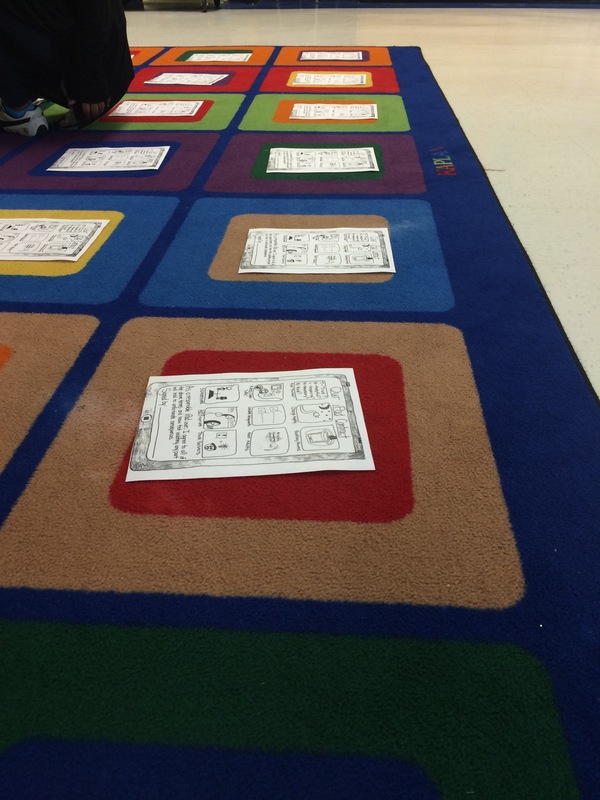 Each student then received their own copy of the contract and signed it. I’m so excited for the way these contracts turned out and can’t wait to bust it out when necessary (which hopefully is never)! How do you set expectations when launching a 1:1 mobile device classroom? Please share! Reblogged this on Taking your Classroom to the Next Level.